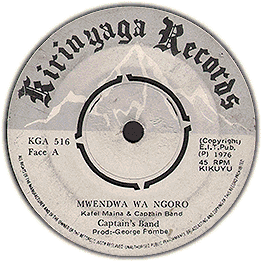 Another fine George Fombe production, haven't heard of the band before but it's Kikuyu crooner alright. Cool breakdown! Check audio of both sides. Needs an extra clean!